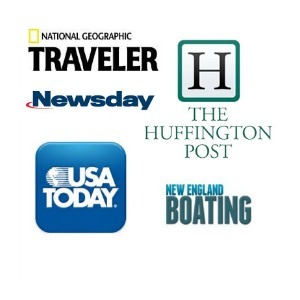 FOR INTRO AND INFO ON OTHER WHITE MOUNTAIN AREAS, CLICK HERE. HIKE/SWIM: Diana’s Bath, Bartlett (near N. Conway). Walk 1.2 miles round trip to a series of cascading pools of water. Utterly enchanting. On weekends in the summer, you’ll be far from alone. 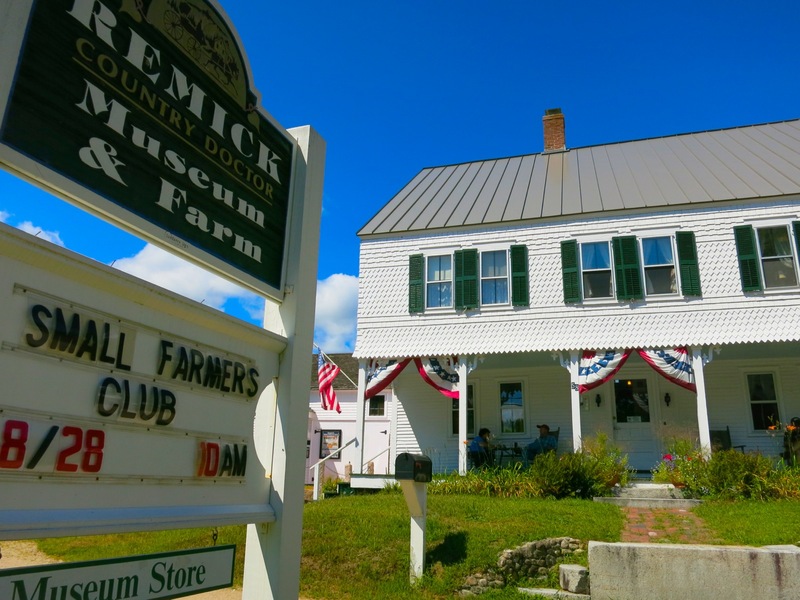 Remick Country Doctor Museum and Farm – If you’ve ever been curious about the life of dedicated, tireless country doctors, spend a few hours here. Father and son doctors, both Edwin Remick (though the son was Edwin Crafts Remick) saw to this farming community for a total of 99 years between them. For most of that time, the Remicks were the only physicians in Tamworth, seeing patients from this remarkably pretty homestead until the death of “Younger Remick” in 1993. 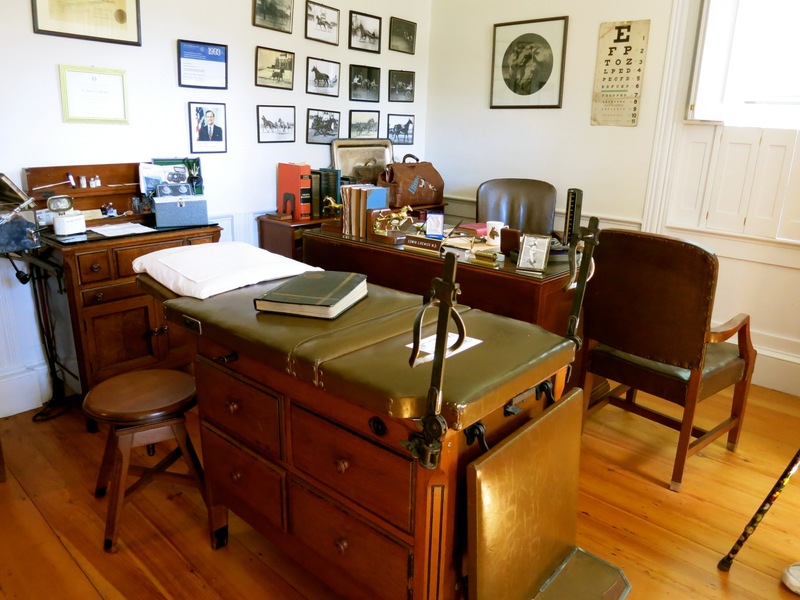 The young Dr. Remick donated his home, his father’s home and the farm to be run as a museum so that future generations would know what the life of a country doctor was like in the 20th century – a most fascinating and stereotype-busting exploration of that life. A tour of the 1808 Captain Enoch Remick House brings you through the doctor’s office and home, which had been an inn before it was left to the older Remick in 1904. Upon his father’s death in 1935, Dr. Edwin Crafts Remick took over his office and continued his father’s work for 58 more years until his own death in 1993. The office, though small and compact, is a revelation. Left as it looked in 1993, the doctor’s desk, a small changing area, an examination table, and medical implements were all crammed in one room. 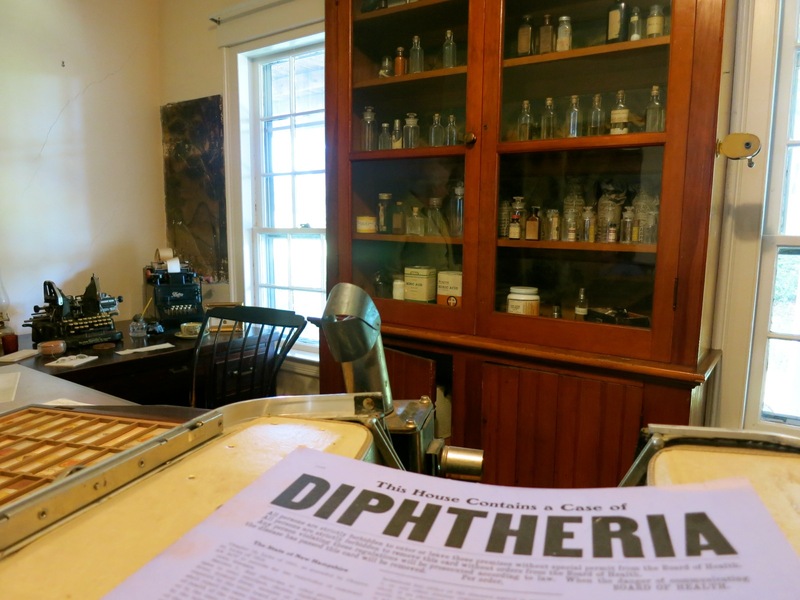 The pharmacy stood inches away, in the former inn dining room, its cabinets still full of tinctures and remedies. 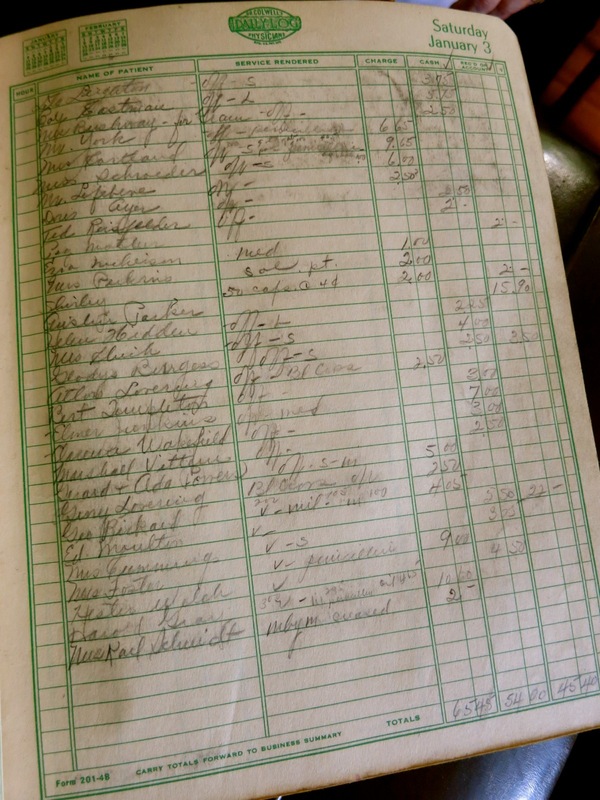 Curators discovered a 1948 ledger, and turned it to Jan 3, which itemized the few dozen patients seen that day, what they paid, reason for visit and if they paid in cash or “other.” The Older Doctor graduated medical school in 1894, the younger, from Tufts, in the early 1930’s, and both saw to generations of locals – mostly to remove fishhooks and teeth, deliver babies, and treat ailments. You’ll enter the Visitor’s Center through the younger Remick’s home – a very modest house on the street that he lived in while practicing medicine in his father’s home. 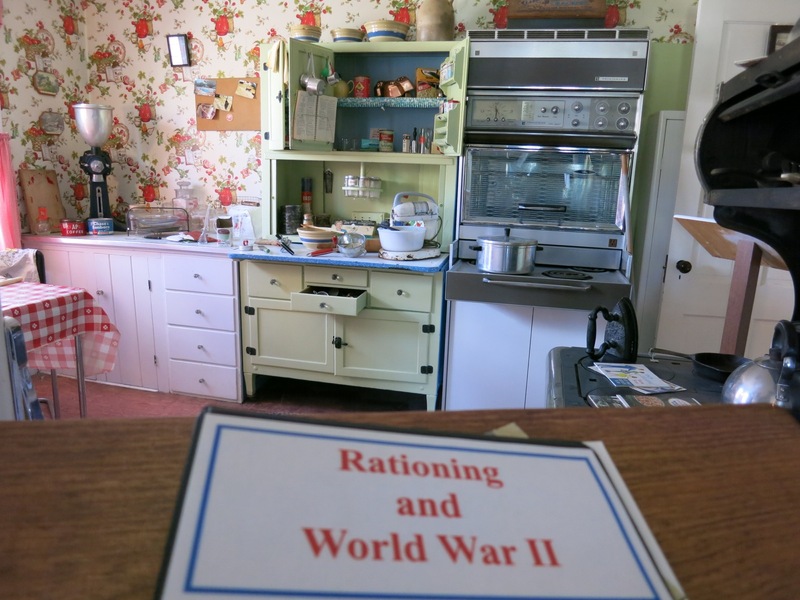 Upstairs is staged as it might have looked around the 40’s, when food rations were in effect and people sat around the radio, listening to the latest Fireside Chat from FDR. A poster detailing “A Day in the Life of a Country Doctor” provides perspective on this vocation. These men were certainly not in it for the money. In 1929, an office visit was $1, a house call $3. By 1993, an office visit was $17.50, house call $30. Both father and son tended to animals on their farm, and ran a dairy which supplied pasteurized milk to local schools. You can still pick up meats, eggs, and herbs from an herbalist on site and see farm animals on a half mile path around the farm through the woods. Open year round Mon-Fri 10-4, Summer Mon-Fri 9-5, Sat. 9-4. $5 admission. 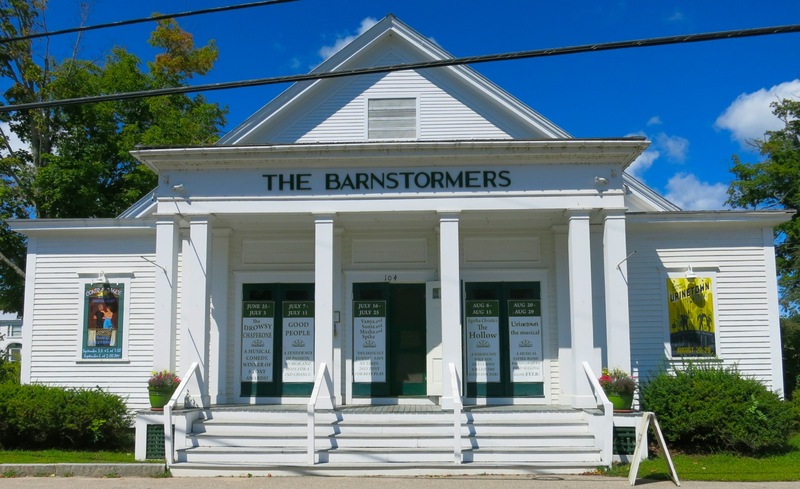 Barnstormers Theater – A professional theater since 1931, this was one of America’s first Summer Stock theaters and still going strong. 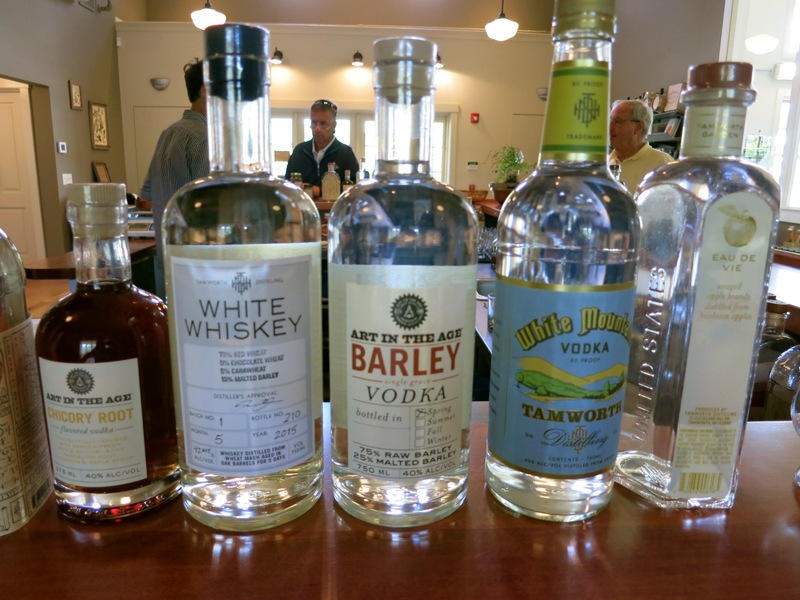 Tamworth Distillery and Mercantile – This modern-barnlike place – a “test kitchen” for Philadelphia’s funky Art in the Age of Mechanical Reproduction – is one cool “organic” distillery, where distillers pick plants from a backyard garden to create “herb-infused spirits.” Come in for a complimentary sip of White Mountain Vodka, or Eau De Vie unaged apple brandy from heirloom apples. Good stuff. 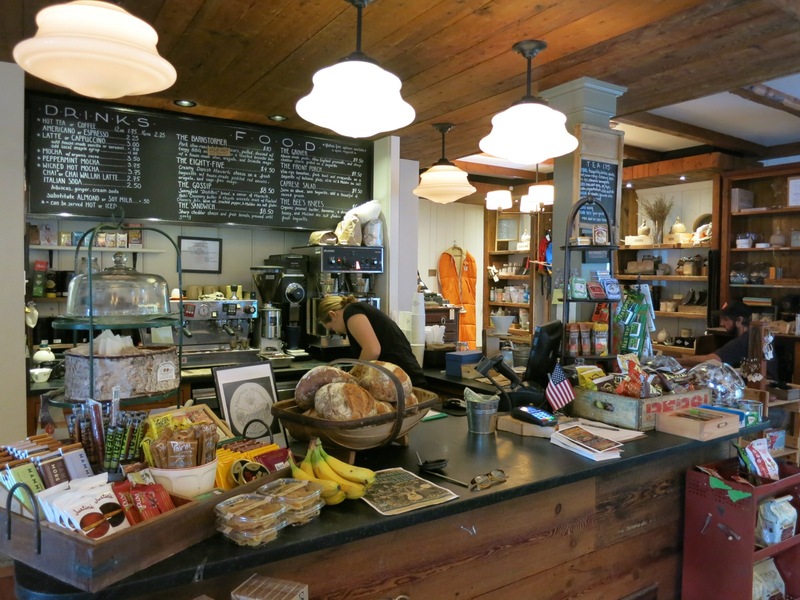 Tamworth Lyceum – a new upscale rustic market with great sandwiches like the Peanut Butter, Banana, Honey on Baguette. 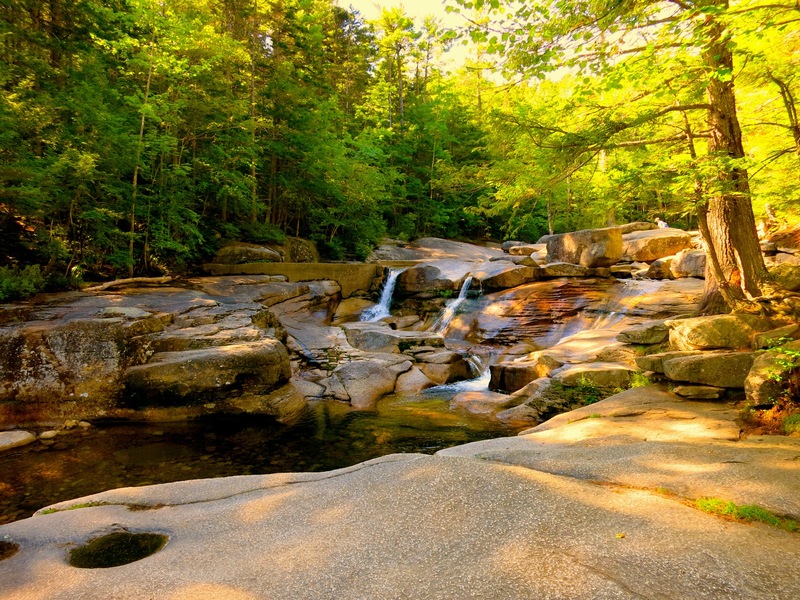 Lower Falls – take along your bathing suit and chill out on large, smooth rocks on the river. Great for flume riding on hot days. A very popular spot. 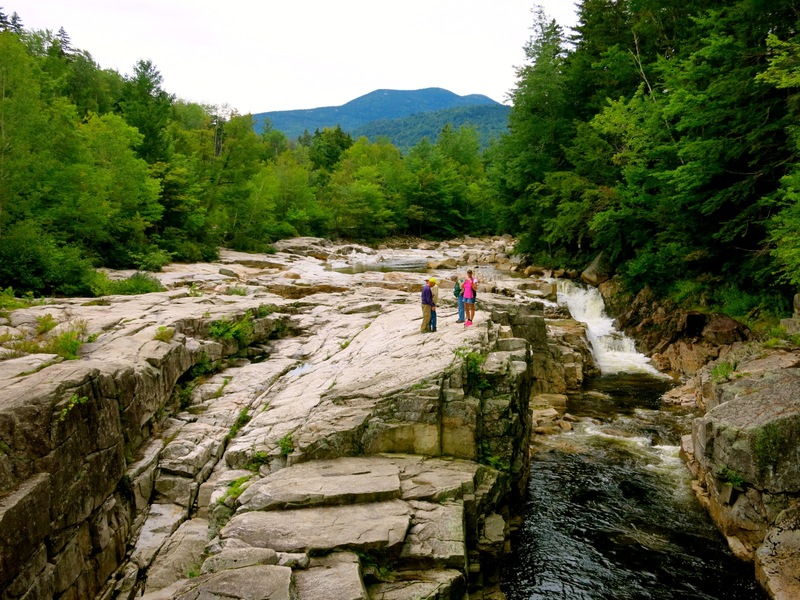 Rocky Gorge Scenic Area – a mini Franconia Notch Flume – continue across the bridge to a tranquil Falls Pond to beat the crowds. Scenic Views – pull over where instructed for great White Mountain views. 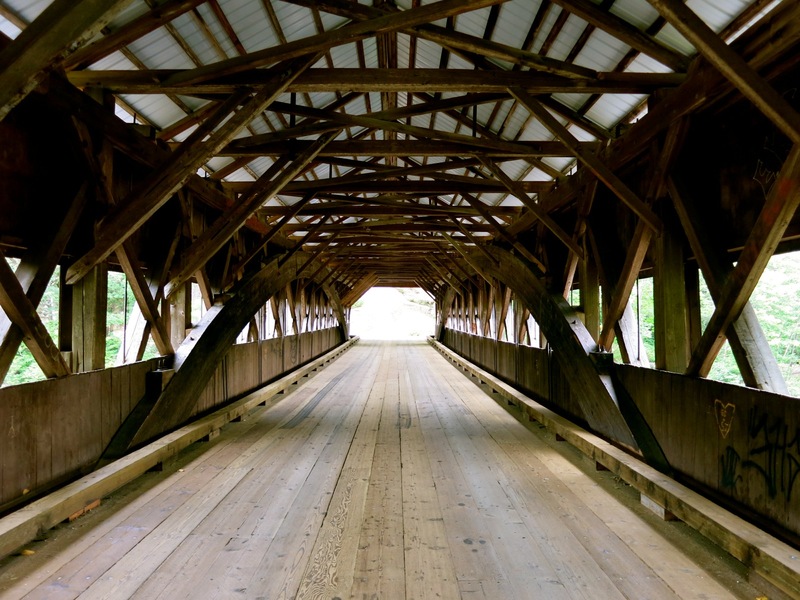 EXPLORE: North Conway. 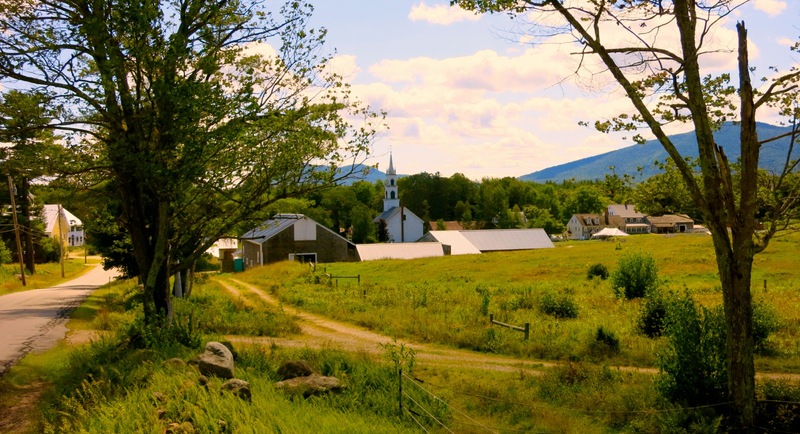 This town is the touristiest in the White Mountains, and for that reason, I will leave it up to other writers to cover it. There are plenty of hotels, inns, restaurants and shops (including outlets) here to keep you busy for days. EAT/DINNER: The Wentworth, Jackson. Even before you’re filled with admiration for the food, there’s the menu. Not exactly what’s written on it, though you’ll find classic dishes like Mussels and Veal entrees in the $20’s, and tweaks on the classics like Cucumber Mellon Gazpacho ($9). Open up the hefty menu, though, and the thing lights up like a Kindle. Though it’s not the only reason you should book a table in this very elegant, Venetian Glass votive lit, linen-clothed table dining room, it is certainly a conversation piece, and one that you’ll be discussing over a lovely dinner. EAT/LOCAL FAVES: Locals and guests alike also rave about the Red Fox Bar & Grill and the Christmas Farm Inn. 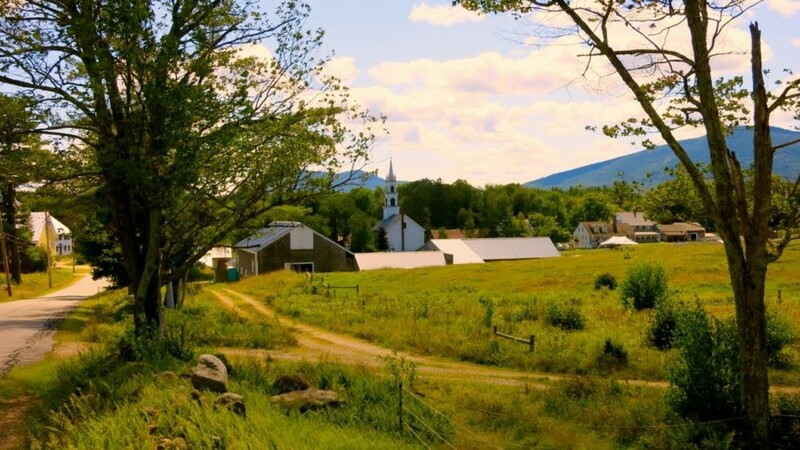 Where to Stay in the Eastern White Mountains. STAY: Inn at Ellis River, Jackson. Homey, cozy and country-cute, the Inn at Ellis River may not top some of the review charts, but tell that to guests who rave about the place and keep coming back. Part of the reason is the setting –right on a stone-dappled river. 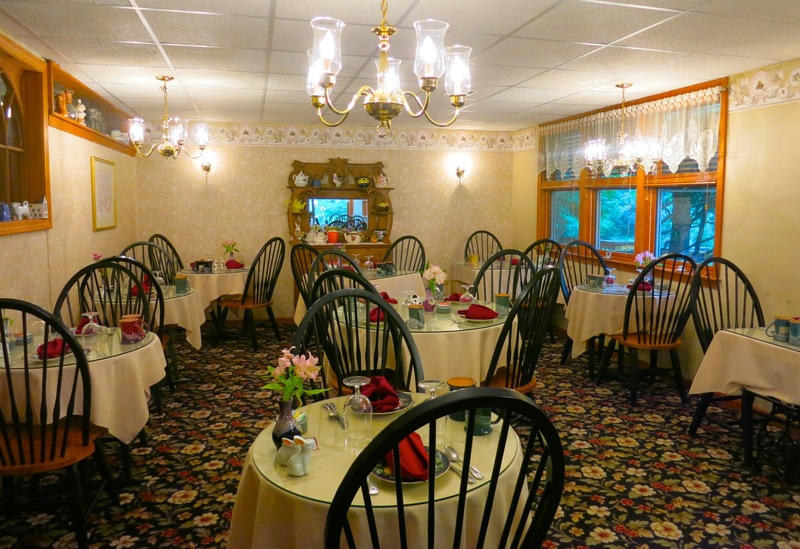 Partly its because the owners, John and Mary Kendzierski, who purchased the 22-room inn in early 2015 after staying here multiple times over the last 18 years, have put their heart and soul into running it. 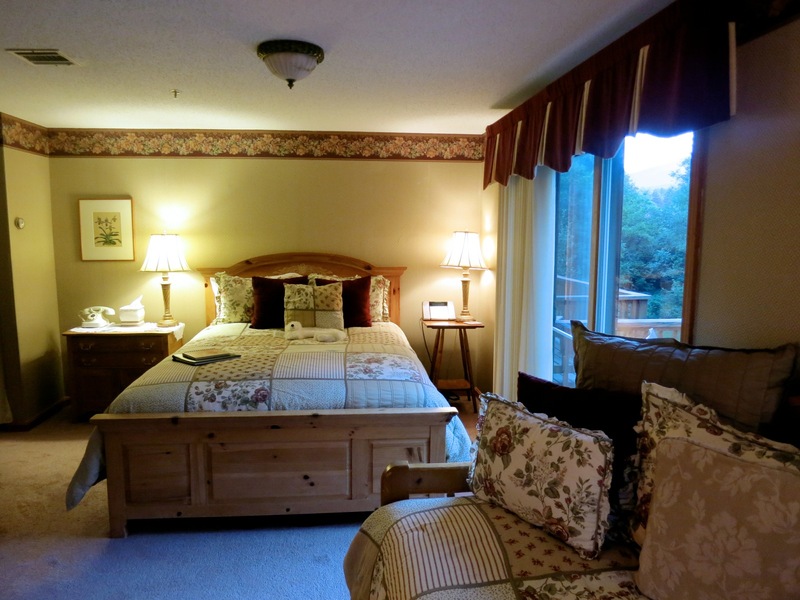 There’s no denying that the spotless rooms with wrought iron or carved beds, quilts, and flat screen TV’s, and John’s fresh-baked scones, croissants and featured hot dishes delivered with a friendly smile each morning create a nurturing, cocooning atmosphere. 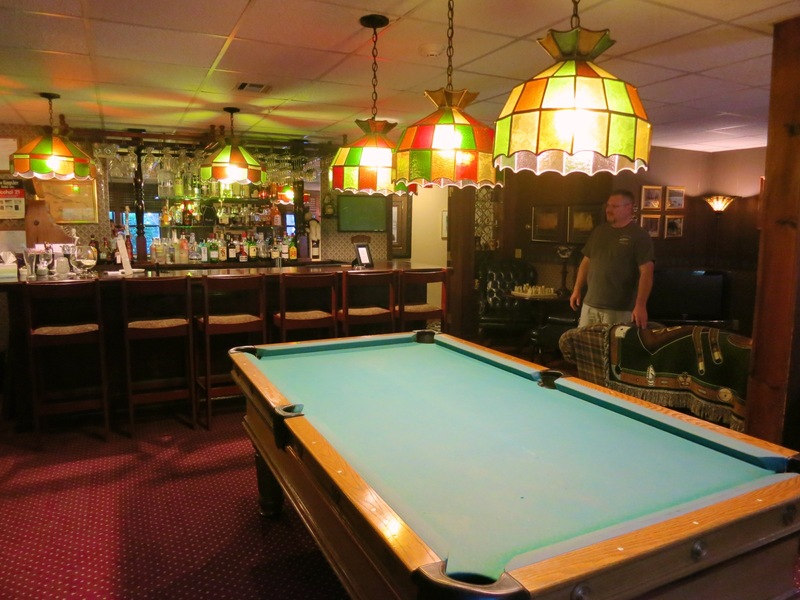 But the extras, like the inviting swimming pool on a hot day, and the billiards room with full bar popular with gatherings of friends or family reunions, sets Inn at Ellis River apart. Breakfast is served in an adorable bright dining room, where you can choose to keep your conversation to your own table, or engage other guests in discussion (my choice). Rooms and suites from $129-$329 include made to order gourmet breakfast, bottles of water, snacks, use of pool, billiards room, wi-fi. STAY: The Wentworth, Jackson. 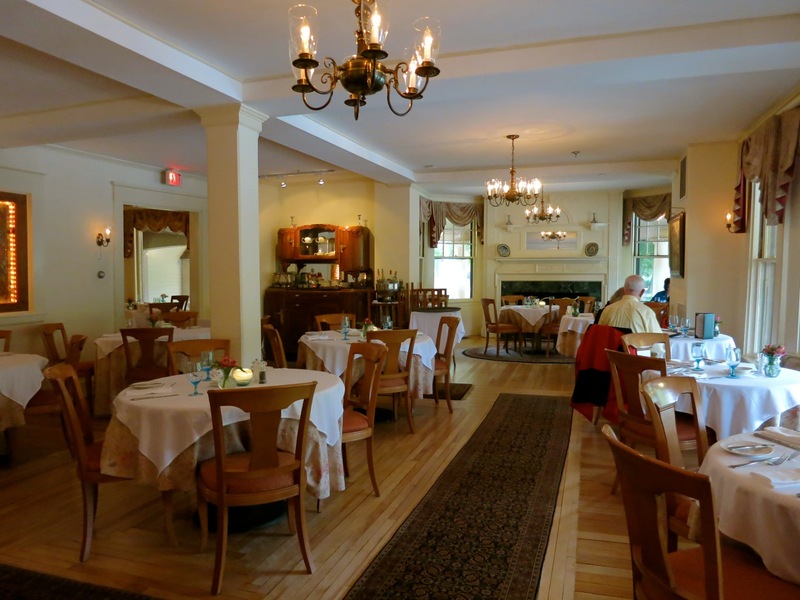 Not to be confused with Portsmouth’s Wentworth By the Sea, this 61 room in-town inn, considered a “Mini-Grand Hotel” is “country” of a different sort – more French Provincial than American cute. 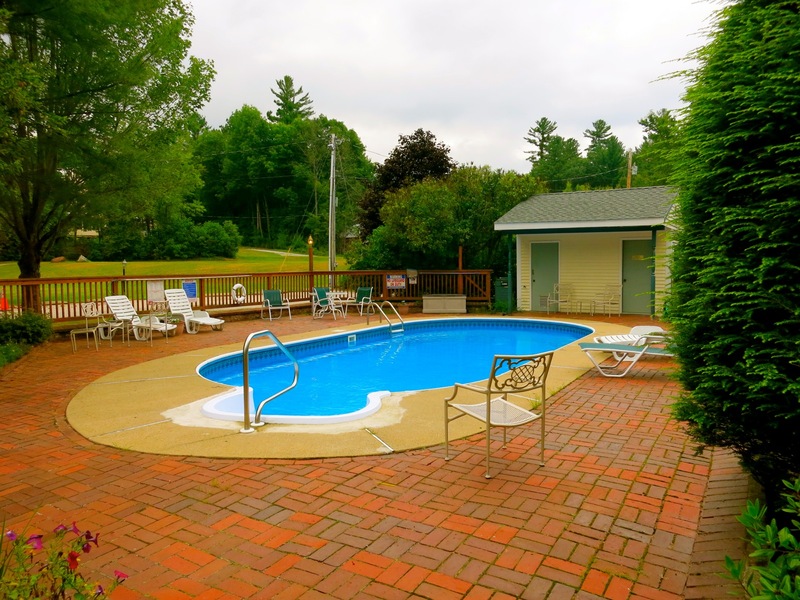 Renovated in 1991 by Swiss-born Fritz Koeppel to elegant effect, redone Deluxe Rooms sport a streamlined mint green/orange pallet with new mattresses, fireplace, huge flat screen TV’s, marble bath, steam shower and private hot tubs. “It’s all about the guest experience, the owners have spared no expense.” Standard rooms start at $133 offseason, $167 in season. 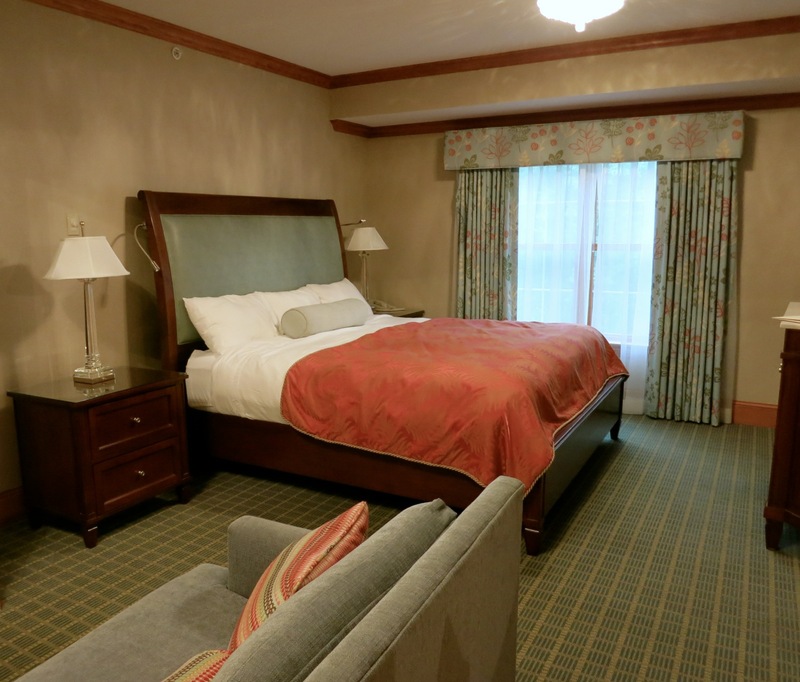 Deluxe rooms starting at $347 include breakfast.